Looking to fill up your iPhone or iPad with free apps? 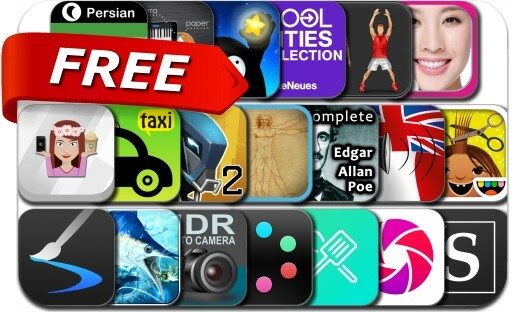 Great apps go free on a regular basis, just like these 20 apps. This apps gone free alert includes EPOCH.2, Circles Memory Game, oSnap, Inspire, 7-Min Workout, English / French Talking Phrasebook, Beauty Selfie Facing Camera, Cool Cities Collection, Clean and Green Eating, Paper Piano, Extreme Fishing and many others.